Spock (left) and Kirk (right) detain super-human Khan (center) on the Enterprise briefly. What can I say? They butchered a classic. For those of us old enough to remember and cherish Star Trek II: The Wrath of Khan, this one, at least in parts, was a disgrace. 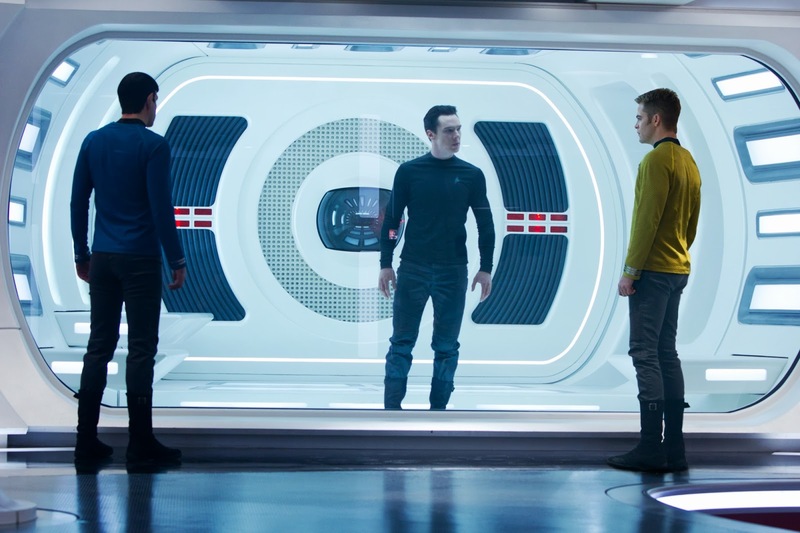 When the original dying Spock (Leonard Nimoy) and Kirk (William Shatner) sat on the floor with their hands touching either side of the containment glass, we were devastated. We had seen the friendship of Spock and Kirk develop and blossom during nearly 20 years of television and the first Star Trek movie. With the new Spock (Zachary Quinto) and Kirk (Chris Pine), the scene was nearly replicated but with the roles reversed: Kirk sat dying in the radiation room while Spock lamented on the outside. It did NOT work! The original death scene is one of the most poignant and famous in the Star Trek franchise ("The needs of the many outweigh the needs of the few, or the one"), and this time it felt so misplaced I literally couldn't watch it. Quinto and Pine are so new to us (their characters hated each other early in the last movie), we did not have time to respect or love their friendship like we did with Nimoy and Shatner. Hearing Quinto scream the infamous "KKKKKHHHHHAAAAAAAANNNNNNN!" in anguish was borderline humorous. It just did not work. With that said, Benedict Cumberbatch makes a damn good villain! 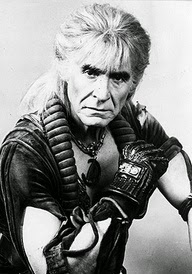 He lacks the smokin' hot charisma displayed by ever-smooth Ricardo Montalban, the original Khan Noonien Singh. 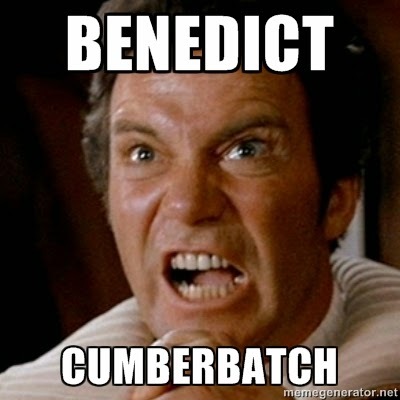 So is this new Star Trek movie worth seeing? Yes, of course it is. The special effects are amazing; going to warp has never been more exciting. Seeing Uhura (Zoe Saldana) carefully walk towards and speak Klingon to a gang of well-armored and highly agitated Klingon warriors was a welcomed first for her traditionally-chairfast character. (The new Klingons are scary as hell, by the way! This was the first time I've seen one with pale blue eyes.) I also enjoyed one of the early scenes with Spock in the volcano as lava erupts and sprays around him. A very nice homage to the traditional meaning of the word Vulcan (Roman god of fire.) There is also a new starship introduced here - a much larger, 3 times faster, black military ship that nearly destroys the Enterprise. Now we know what Into Darkness means - the Starfleet mission to explore space and new civilizations is now turning into a darker, sadder, military delegation. The scene in Admiral Marcus' office of a line-up of models showing the progression of flight from the Wright Brothers' airplane all the way through the (hypothetical) Enterprise spaceships was a really nice touch. Kudos, guys! Leonard Nimoy makes a very brief but well appreciated appearance in this movie as well. I will always be happy to see our original Spock spouting words of wisdom in these "rebooted" versions. 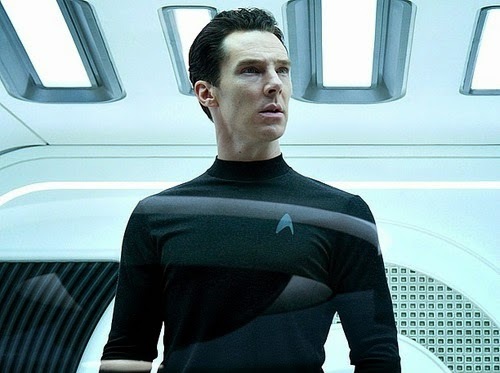 And it's good to know we'll be seeing more of Khan in the future. They kept him alive, in a cryogenic tube. That was probably a mistake. Oh! My Father would have been pleased to see that J.J. Abrams left out his camera lens-flare signature this time. Or at least I didn't notice it. Guys, please work on some original story lines before you tap into old Star Trek gold. We want to be fans of the reboot, but you can't steal the crown jewels without earning them first.